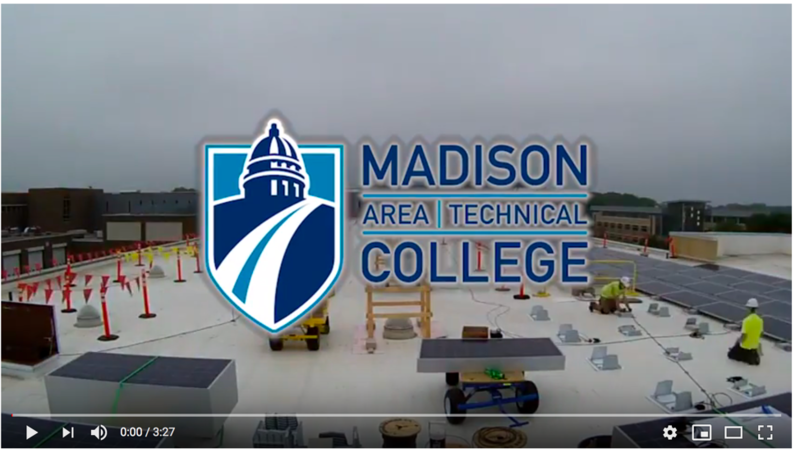 Madison College recently commissioned the largest rooftop solar system in the state of Wisconsin. The ribbon cutting was presided over by Wisconsin’s Lieutenant Governor Mandela Barnes, who read a proclamation from Governor Tony Evers declaring January 16, 2019 “Madison College Solar Energy Day”. The solar system includes over 5700 photovoltaic panels, covering over 125,000 square feet of roof surface area. Rated at 1.85 MW, the system will generate enough electricity to power about 18,000 flat screen televisions. The installation will save energy and reduce airborne emissions for local residents. In addition to cost savings, the PV system will provide a hands-on laboratory for Madison College students studying Renewable Energy and related fields such as Architecture, Electrical Engineering, Industrial Maintenance, Construction, and Apprenticeship programs. On many sunny days throughout the year the Madison College solar array will produce 100 percent of the Truax Campus main building’s energy demand for up to four hours in the middle of the day. Over the course of a year, the system will provide about 25 percent of the annual electricity use of the Truax Campus main building, this is roughly equal to the consumption of about 300 homes. This will save the college more than $300,000 per year. The Truax solar installation is just one of several initiatives that was planned as part of the college’s newly created Solar Roadmap. 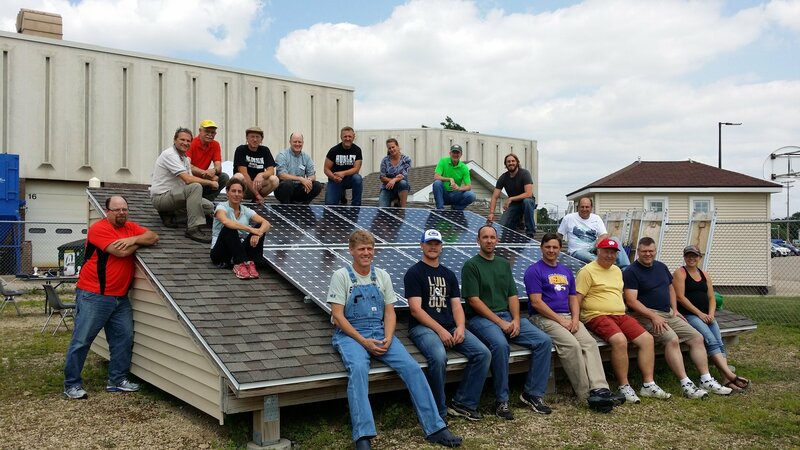 Madison College was one of 14 colleges and universities from across the country that participated in a PV Development for Institutions course led by the Midwest Renewable Energy Association and funded by the U.S. Department of Energy in 2018. Madison College’s Solar Roadmap was an outgrowth of this experience. The roadmap team assembled a diverse group of stakeholders including faculty, students, administrators, and facilities personnel to plan for the integration of solar into campus operations. The roadmap team then examined all of Madison College’s existing campuses and buildings, to assess their energy use, and to evaluate their potential for solar energy generation. Sites were then prioritized for future solar investments based on the modeled economic, educational, and environmental benefits. The Madison Truax installation was the top priority for the Solar Roadmap. The second priority was a solar system for the new Madison South campus which is currently under construction. This facility is expected to open in time for classes to be offered in fall 2019. The third priority is the re-design and upgrading of the solar training lab at the college’s Commercial Avenue campus, to integrate energy storage and electric vehicle charging technology. This project is currently in the planning phase, with execution anticipated in 2020. Madison College hopes that the process that it used to create the Solar Roadmap can serve as an example for other schools to replicate. To help lower the learning curve, the college has made the executive summary of its Solar Roadmap freely available to share, and has also produced a Ten-Step Guide on How to Create a Solar Roadmap. Both of these documents can be download from the CREATE website. Jennifer Clemons, as she describes it, just kind of "fell into" everything. When she was an undergraduate chemical engineering major, the energy and fuels focus path happened to fit in with her schedule nicely. Luckier still, she ended up really liking it and finding a passion! 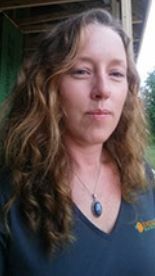 Later when she was searching for a teaching position, a friend happened to know of an open faculty position in a sustainable energy program and Jennifer began her teaching career. In 2011, Clemons was hired at Delaware Technical Community College (DTCC). From the very beginning, she loved the small class sizes that come with teaching at a community college, because she values getting to know her students on a more personal level. "I know the students and their stories. I went to a large university and took physics with 200 other students," she says, "and now I teach in a classroom where I have 16 students max and I know everyone's name. It's so unlike anything that I had in my educational experience." 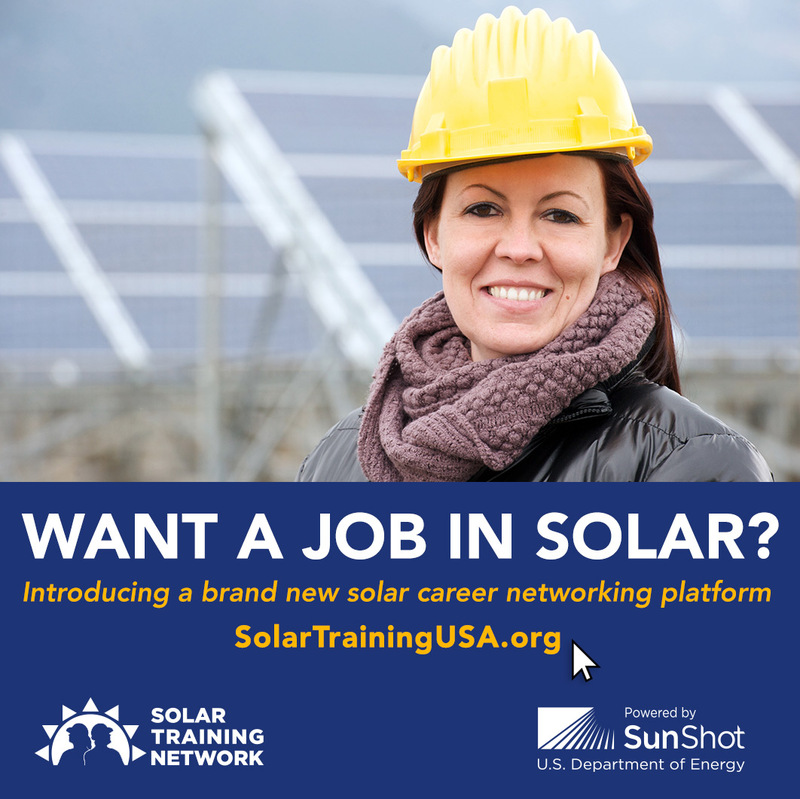 The goal of the solar program at DTCC is to place students in the workforce not just as solar installers, but as sales people, site assessors, and system designers, she says. 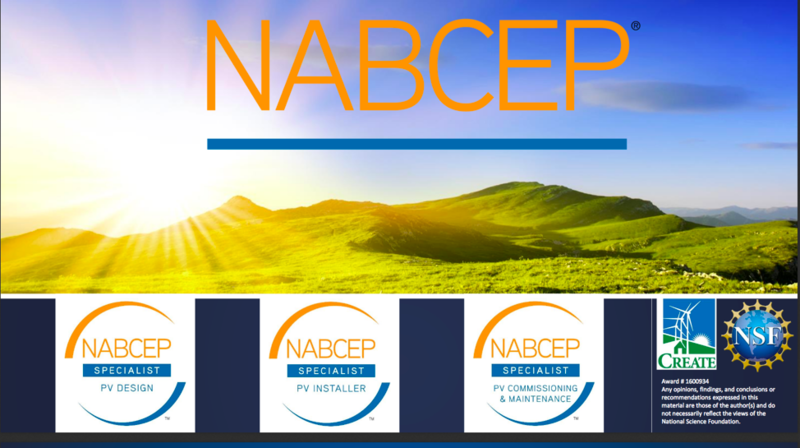 To achieve this goal, the program is aligned to the NABCEP technical sales exam and DTCC is the only location in Delaware that is a provider. This year, all of Jennifer’s students who took the NABCEP exam passed, a remarkable accomplishment! Furthermore, each year DTCC students perform a solar site assessment and energy audit for an existing building, emphasizing the development of these real-world practical skills. Students also help address any issues they identified during the audit such as caulking and changing light bulbs. Last year, the students audited a homeless veterans' shelter and discovered several areas to help the facility save energy and money. 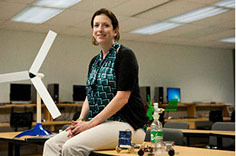 It's clear that Jennifer Clemons truly cares about the students that come through the renewable energy program. She says that being a part of the student’s development is one of the most valuable parts about teaching.
" It's great to see them grow from being young people coming to class in their jeans and sweats, and then a couple of years later they are dressed in suits, delivering professional presentations, and working in the field to help clients," said Clemons. "That makes teaching really rewarding." 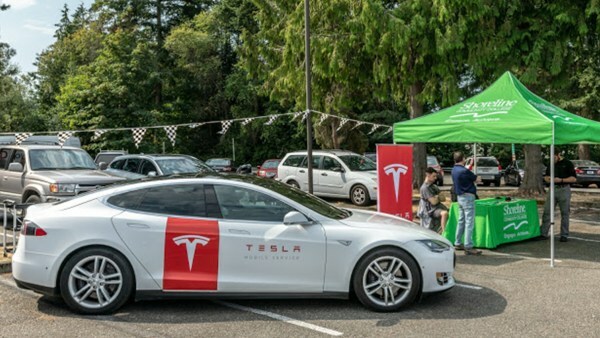 In Fall 2018, Shoreline Community College launched a new electric vehicle training program with Tesla. The intensive 12-week technical training program, Tesla START, provides students with the skills necessary for job placement as service technicians at Tesla service centers across North America. Students will develop technical expertise and earn certifications through a blended approach of in-class theory, hands-on labs, and self-paced learning. 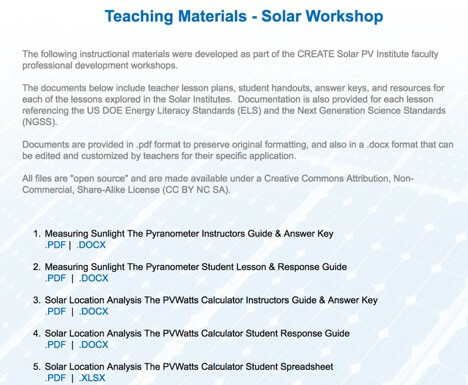 Curriculum and Instructional materials from the CREATE Solar Institutes have been made available on the website CreateEnergy.org. The files include lab activities, teacher lesson plans, student assessments, answer keys, and cross reference documents for both the Next Generation Science Standards and the DOE Energy Literacy Standards. Files have been made available as open source documents using a Creative Commons Attribution, Non-Commercial, Share-Alike License. All materials are available as both Adobe PDF files (to preserve original appearance, formatting, and pagination), and as MS Word files (for easy modification, editing, and customization by teachers). The KidWind Challenge is a nationwide hands-on design competition that engages students in STEM through the lens of wind and solar energy. Student teams design and construct small wind turbines and solar structures and test their turbines at local competition events. They also meet with a panel of judges to present their design process and demonstrate their contextual knowledge of renewable energy, and complete “Instant Challenges” to gauge their on-the-spot teamwork and problem-solving skills. The top teams at each local event will qualify for the National KidWind Challenge competition at AWEA WINDPOWER in Houston this May. Since 2009, KidWind has hosted 35,000 students at 227 events in 26 states. Last year’s season was the biggest yet – more than 4,000 students competed in 32 events in 24 states and 4 international locations. Additionally, more than 800 teachers participated in a KidWind Energy Workshop. 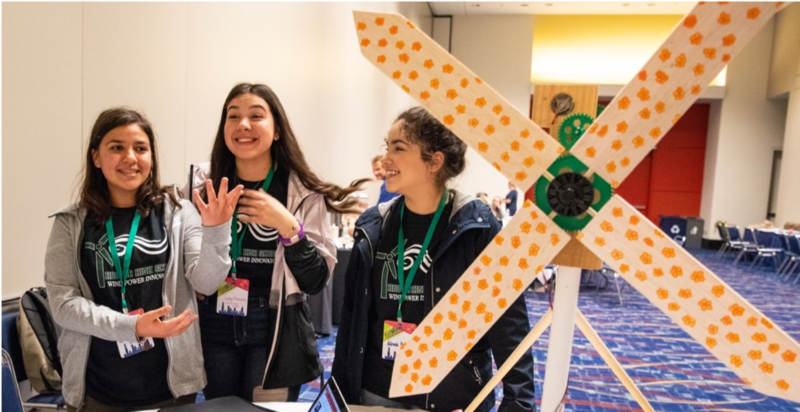 This year KidWind is thinking even bigger, with 37 events and 40 educator workshops planned, all culminating at the National KidWind Challenge. This is a team effort of teachers, students, engineers, practitioners, and volunteers working together to make renewable energy education accessible in classrooms around the world. To learn how to get involved, visit kidwindchallenge.org. CREATE PI Ken Walz & Co-PI Kathy Alfano have acted as judges for past KidWind National Challenges. Sara Collier is a graduate of the Sustainable Technologies program , but even before going through the program, was not a stranger to the idea of sustainability. Collier is also passionate about sustainable agriculture, which she already had a degree in before starting her journey in renewable energy. "I wanted to build on that [sustainable agriculture] background and do something additional that would really help to sustain local economies and communities for the future. Renewable energy just seemed like a natural expansion upon local food systems and what I'd already been doing," says Collier. Collier was a student in the Sustainable Technologies program for two and a half years, and strongly believes that the program's success comes from the fact that instructors are incredibly passionate about what they teach, as well as "the fact that they have a personal relationship with their students and the people in the community." Further, the program focuses on technical skills, and students get to apply the technical knowledge they learn directly through a "hands-on" approach. She also adds that the program taught her valuable communication skills, and provided students with a sense of community, adding that she "never felt like just a student." "That's really a very important part of sustainability," she says thoughtfully, "It's reaching out and fostering that sense of community and cohesion and pride in where you live and what you do." Since graduating, Collier has been working as a HERS rater and a National Green Building Standard verifier for the company, Southern Energy Management. She also returned to CCCC this past spring semester to teach the building science class there. Collier also wants to tell students and those aspiring to work in the renewable energy industry that it's okay to not know exactly where you want to end up when you start out. One upside to the industry, according to Collier, is once you find something you really love, you can specialize. For Collier, her interest ended up being in building sciences, but she adds, "The possibilities are endless." The industry doesn't revolve around one thing, there's a real need for people in marketing, sales, web development and IT, just to name a few things. "There's a tremendous amount of opportunities there, and it will only continue to grow. I'm sure of that." Shoreline Community College was awarded a National Science Foundation grant to enhance its Clean Energy Technology (CET) program in 2017. The $168,000 grant is helping prepare students in the CET program for high-skill technology jobs in the field of clean energy. Careers in the green building sector continue to see steady growth, particularly in the Greater Seattle area, which surpasses the nation in energy management and systems technology jobs. With the National Science Foundation funding, Shoreline Community College will continue to upgrade its Clean Energy Technology curriculum to expedite graduates’ placement into energy design and management jobs. The program will also include long-term project-based learning experiences to give students first-hand experience with authentic research and field activities. A summary report was completed in 2018 outlining job descriptions and skills needed for a Clean Energy Analyst and a Clean Energy Designer. Over 20 Clean Energy industry employers participated in multiple focus groups to define these emerging roles. One of the new courses developed was offered for the first time this winter. 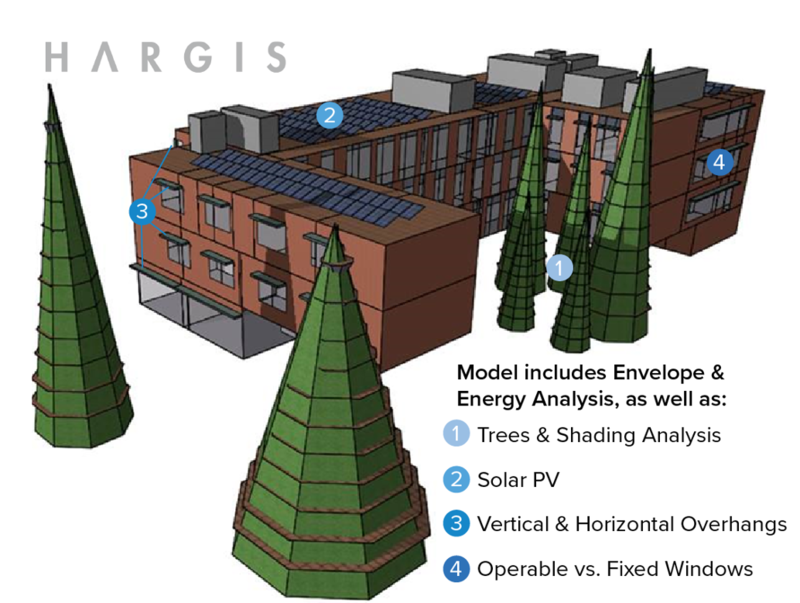 The Virtual Design for Energy Technologies class provides foundational technical skills in the use of Building Information Modeling (BIM) for high performing/renewable energy systems in the built environment. Topics covered include whole building energy systems modeling for design, analysis, and detailing and the course focuses on Autodesk Revit MEP. In addition, Shoreline will host 20 local middle/high school STEM teachers for a three day workshop this summer. Participants will learn how to teach solar principles in effective, engaging ways in the classroom. Teachers will also install and commission a residential size solar photovoltaic array and perform hands-on classroom lab activities that will enable them to bring solar energy to life in their classroom. Although all forms of renewable energy are beneficial by reducing emissions of climate-change inducing green-house gases and dependence on traditional fossil fuels, geothermal energy has some unique attributes. First, as the title implies it is available 24/7 and does not require the sun to shine or wind to blow. Second, geothermal power has the potential to be flexible and to ramp up or down to help compensate for intermittent sources of renewable energy. This quality can actually then facilitate the growth of solar and wind power. Third, geothermal energy is available across a wide range of temperatures. At highest temperatures (generally >120⁰C), the geothermal fluids can be used for electrical power production. At lower temperatures (>50⁰C), the geothermal fluids can be used directly for space heating and cooling of buildings, to heat water for cleaning and bathing or swimming, and to heat greenhouses for growing vegetables/flowers (to just name a few examples). A good example of a direct use of geothermal energy is the Peppermill Hotel and Resort in Reno, NV that is able to heat its entire campus (3M square feet) using 80⁰C geothermal fluids; this saves about $2.5M /year in natural gas costs. At the lowest temperature geoexchange systems use the Earth as a thermal bank, where heat is deposited in the summer and withdrawn in the winter using a system of wells or underground pipes. In areas having significant seasonal contrasts in temperature, geoexchange heating and cooling systems can save as much as 40% on energy bills using traditional heating and cooling systems. 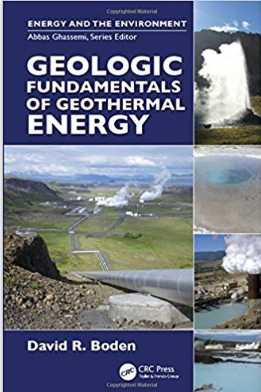 For those interested in learning more about this fascinating energy resource, a new book on the topic titled: Geologic Fundamentals of Geothermal Energy by Dave Boden and published by CRC Press (2017) gives the reader a basic overview of geothermal energy and how geology controls the types and distribution of geothermal resources on our planet. Dr. Dave Boden is a faculty member at Truckee Meadows Community in Reno, Nevada and has been a past CREATE International Learning participant. 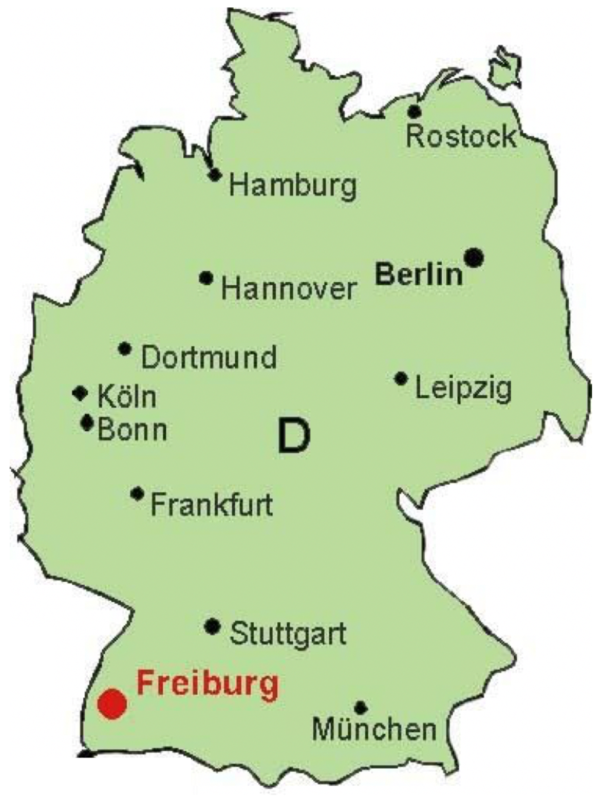 CREATE Delegation to study Energy Storage in Germany. 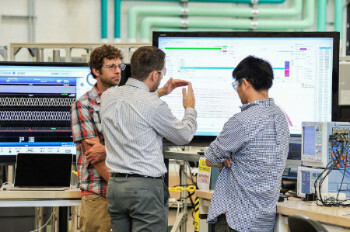 In May 2019, CREATE will send a delegation of 16 educators to Germany to learn about how they are incorporating energy storage with renewable energy technology. The team will start in Washington, D.C. to meet with experts hosted by the Boell Foundation. After flying to Germany, they will meet with energy policy makers, fellow educators, and industry representatives in Stuttgart, Freiburg, and Munich to learn about the German experience. Upon completion of the international exchange, the team plans to develop energy storage curriculum to integrate into renewable energy programs taught in the U.S. Watch for more details from the international activity in fall 2019. 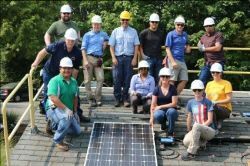 The Solar PV Institute is a three-day, intensive professional development workshop for educators interested in teaching students about solar photovoltaic technology. The institute emphasizes hands-on experience working with solar equipment and tools. Participants will engage in lab activities that science and technical education teachers can use to integrate solar technology into their existing courses. The Institute is led by a team of community college and high school instructors with expertise in both solar photovoltaic technology and STEM curriculum design. For a Renewable Energy Program to be most successful, energy efficiency is an essential component. Far too many programs don’t give energy efficiency enough consideration in overall program development. Why do we need to teach our students about energy efficiency? Because, if energy efficiency is not addressed upfront in the design of a renewable energy project, much larger energy systems will be needed to make up for the energy lost through inefficient processes and ineffective building operation. 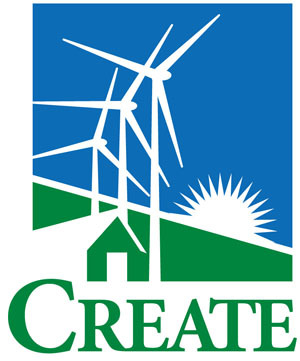 The CREATE SEES one-week workshop provides participants with commercial building energy efficiency training to assist with the development of courses and programs. The SEES workshop will be taught by faculty and staff from Lane Community College. Lane is home to the longest running Energy Management Program in the US and has helped many colleges start energy related programs. Residential and commercial energy efficiency course content. Including curriculum, activities, and experience with course development. Using your campus as a teaching tool (Living Lab). Tools required for a successful energy auditing course. The opportunity to network with other energy educators interested in developing similar courses. Travel lodging, meals, and stipend provided. Learn how to teach solar principles in effective, engaging ways in your classroom! Local STEM teachers can join us at Shoreline Community College for the Washington STEM Educator Solar Institute. Learn to install and commission a residential size solar photovoltaic array. You’ll perform hands-on classroom lab activities that will enable you to bring solar energy to life in your classroom. This program is designed for 20 middle school or high school instructors in science, technology, engineering, math, or career/technical training fields. Applicants should complete the online application form by the priority deadline, April 1, 2019; late applications may be considered if space is still available on a rolling basis. The application includes biographic information and 3 short-answer essays about your interest or experience with solar. Selection will be based on how well participants will be able to fulfill the institute objectives, including utilizing institute lesson plans into your future curriculum. Priority application deadline: April 1, 2019; late applications considered if space available on a rolling basis. Workshop Focus: Participants in this workshop will learn about the NSF Advanced Technological Education (ATE) program and how to most effectively apply for grant funding. Faculty must propose a specific project to improve an ATE-eligible technical program in a one page statement of interest. Teams of two are encouraged. Statements of interest will be reviewed and accepted on a first come first accepted basis. Workshop activities will include informational presentations; planning and writing sessions with help from mentors who have had extensive experience with ATE and NSF; and time to network with colleagues from similar institutions around the country. Each college will be assigned an experienced mentor to aid them until they submit a grant. When: Arrival evening of June 9th, departing afternoon June 12th, 2019. Eligibility: Full-time STEM discipline faculty from two-year colleges. Two faculty per college are eligible and teams of two are encouraged. Costs: Travel (up to $500) and costs of lodging and meals will be covered for up to 50 participants (up to 2 per institution). Stipends and Support: Each participant will be eligible for a stipend (in addition to travel costs) at the completion of the workshop. An additional stipend will be available upon submission of an ATE proposal in the October 2019 competition. Ongoing Support: The mentor who works with you at the workshop will continue throughout the year to support your efforts to write a complete proposal. This will include creating post-workshop milestones, webinars, suggesting resources, and providing feedback both for proposal writing and in the award process. 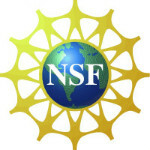 CREATE co-PI Kathy Alfano is also co-PI for this NSF Grant Writing Workshop. To register for the workshop, or if you have any questions about activities or arrangements, please contact Dr. Eun-Woo Chang at “nsfateworkshop@gmail.com”. This material is based upon work supported by the National Science Foundation under Grant No.1820952. Any opinions, findings and conclusions or recommendations expressed in this material do not necessarily reflect those of the National Science Foundation. Energy Institute for Teachers is a five-day workshop that offers educators lessons and resources to integrate renewable energy and energy efficiency components into existing courses in subjects ranging from chemistry and physics to biology and environmental science. Participate in the one week summer program. Local teachers receive a stipend of $250. Teachers living 50+ miles away receive five nights of lodging. If you are interested in applying, contact Linda Lung. The High Impact Technology Exchange Conference, July 22-25, 2019 in St. Louis, MO invites Fellowship Applications. Qualified fellows will be eligible for support of the $550 conference registration fee plus 2 nights at the conference hotel. The total value is $975.00. HI-TEC Fellowship applications will be available here. The application deadline is March 1, 2018. Complete and submit the application as soon as possible, including a paragraph describing what you hope to gain by attending HI-TEC. There are a limited number of fellowships available. Applications are reviewed on a first come, first served basis, so be sure to apply early! You will be notified as to whether or not you are awarded a fellowship by March 15, 1019. CREATE will be continuing our webinar series in 2019. Planned topics include Solar Photovoltaics, Energy Storage, Renewable Energy Employment, and the German Energy Transition. Please visit the CREATE website and sign up for our email list to get updates as speakers and dates are announced. This material is based upon work supported by the National Science Foundation under Grant No. 1600934. Any opinions, findings and conclusions or recommendations expressed in this material do not necessarily reflect those of the National Science Foundation. 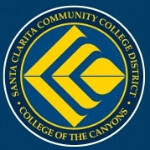 Copyright © 2019 College of the Canyons, All rights reserved.